CALLING ALL PRESCHOOL AGE KIDS! 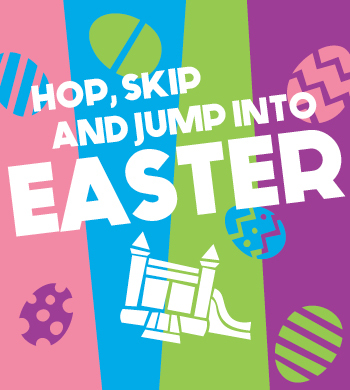 Come jump, slide & bounce into fun with kids your age during our open jump time for preschoolers. This is a smaller group with smaller kids so have some fun when the big kids are at school. AGES 6 YEARS & YOUNGER ONLY! Bring your family, meet your neighbors or make new friends here. Are you part of a small playgroup? This is a great place to meet & play while you visit with friends. **School groups or other large groups must reserve a party time. This time is set aside for individuals to jump with preschool age children.